The Garage Soho’s first home is a former townhouse on Dean Street. It is an incubator and accelerator hub, investing and supporting start-ups that disrupt traditional industry. 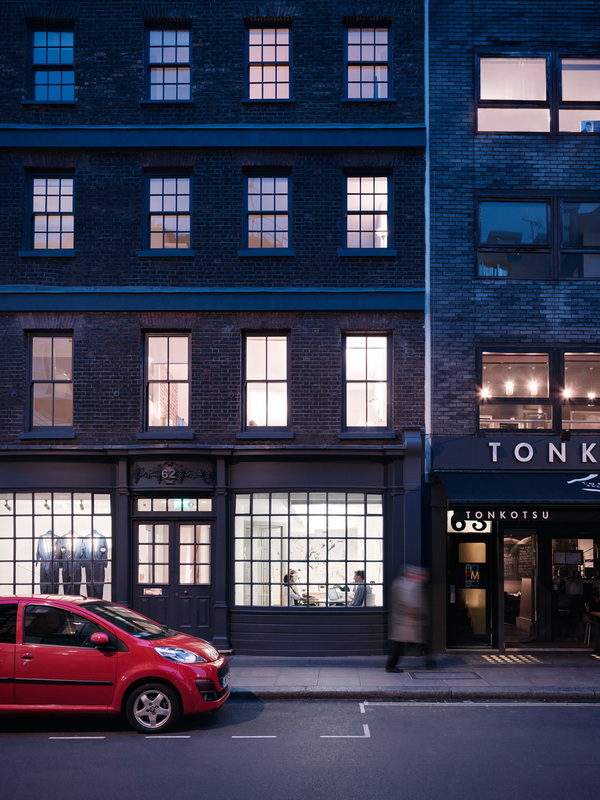 The Garage Soho is one of the leading early stage venture capital investors in Europe, providing equity investment, brand building, support and guidance to a variety of startup ventures and entrepreneurs. Founded by Tom Teichman, who has 20 years of investment experience, and Sir John Hegarty, founder of leading international advertising agency BBH. The Garage Soho has a team with years of experience building brands and businesses. For The Garage we designed a simple, clean collection that featured innovative bolt-ons to our Lean Range such as the Lean Light and tablet integration. The end result was unexampled and we look forward to seeing the future disrupters explode out of The Garage.